Halloween is coming! You probably want to decorate your home for the holiday. You also have one or more bored kids to entertain. Why not combine the two? Here are seven brilliant Halloween craft kits for kids that will keep the kiddos busy AND you end up with pretty holiday-themed decorations! These seven kits will keep children busy and happily so. They are also less messy and far less dangerous than actually carving up a pumpkin. Perfect for those long fall evenings and for getting the entire family in the mood for the holiday! This is the real deal. You let your kids decorate real large orange pumpkin for a genuine Halloween atmosphere. No knives, no carving. 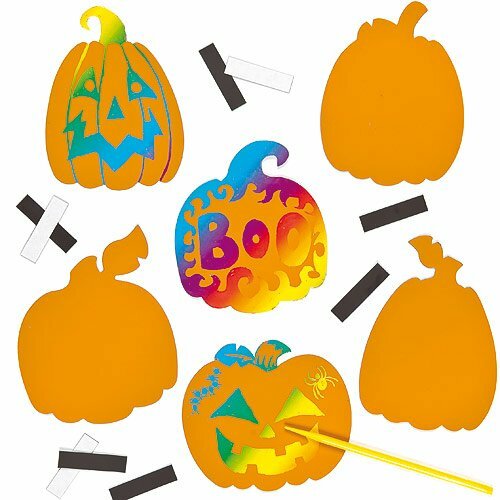 Just safe foam cutouts creating funny faces on up to 12 pumpkins. 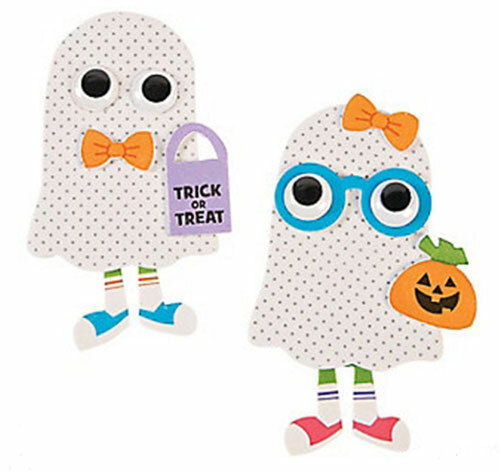 These Halloween ghosts are so cute! You can actually see these are dressed up kids (watch the legs!). Not scary at all and great for younger children too. Making paper chains is a great activity for kids. 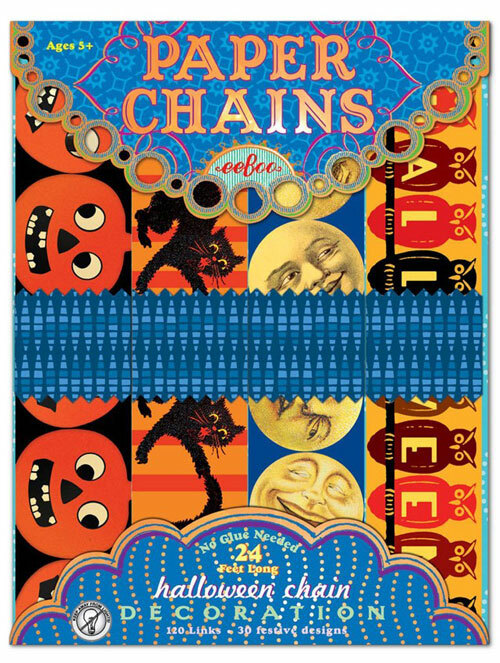 These themed paper strips are easy to put together into long chains. Let the kids decide how they want to string them. They’ll be happy to make these and you can then help them hang these around your home. Everyone loves stickers! Making these pumpkins with funny eyes and mouths is so much fun. Older kids can help younger ones peel off the stickers and everyone will enjoy seeing the funny faces created this way. Stamps! 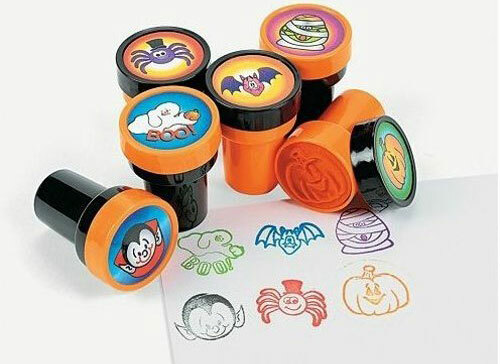 Let your kids create stamp art on paper or pretty much on anything else. Actually, make sure they know what “anything else” means, so you don’t end up with spiders and bats stamped over your furniture! Back to pumpkins, these foam cutouts are awesome. 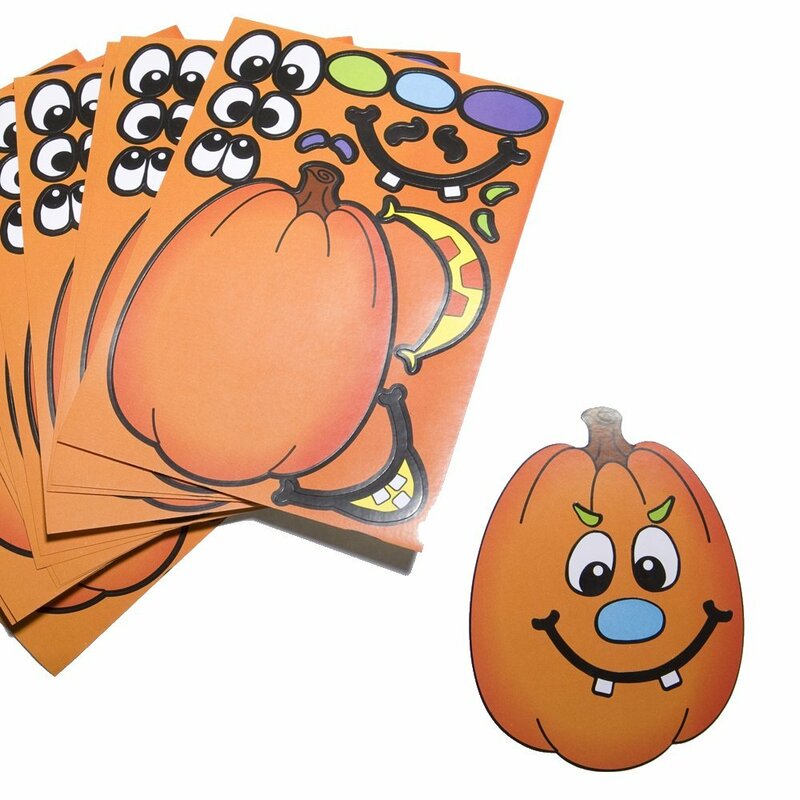 There are 24 in a pack so this is the perfect Halloween party activity for younger children. Just get glue, accessories and some markers (not included with these) and let the creativity juices flow! More pumpkins? Why, yes, it’s Halloween! 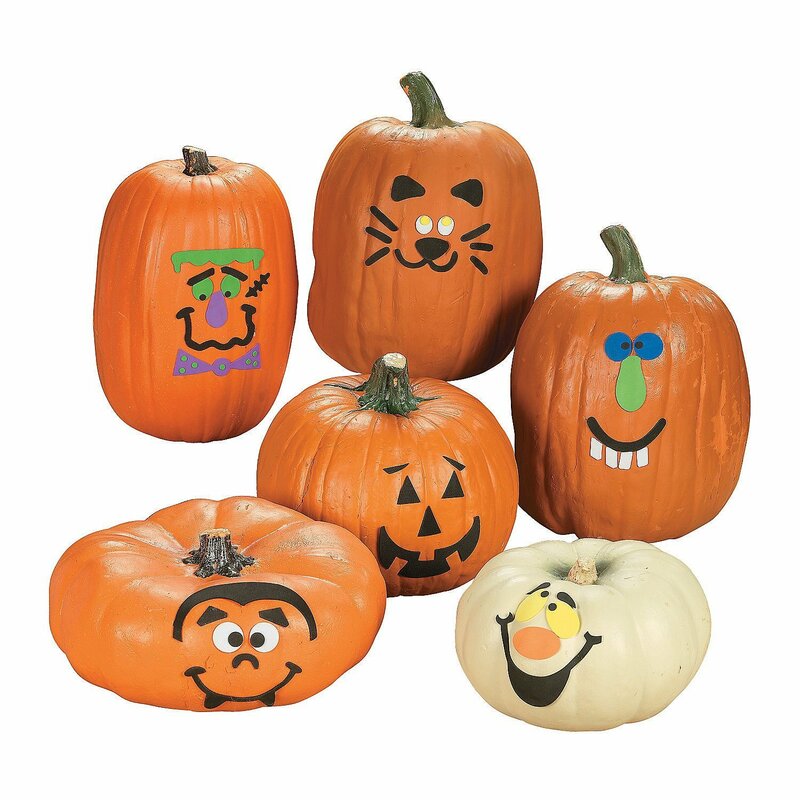 Halloween craft kits for kids are almost synonymous with pumpkins! These are really cool. Orange pumpkins that you can scratch to reveal other colors underneath. There’s a little plastic scratching tool included so you can really get carried away with designs. Younger kids may find these too frustrating but for older kids with artistic tendencies, they’re quite perfect. 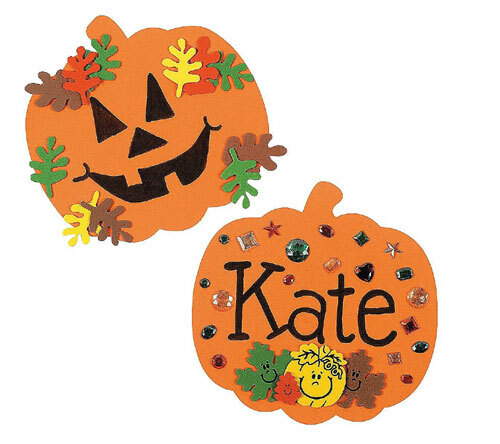 Mix and match any of these Halloween craft kits with your usual Halloween decor to create your family’s signature holiday look and feel. The kids will love having their creations around! Don’t forget to leave a comment and let us know about your own family’s Halloween traditions and how you and your kids decorate your home.